Carlotta is an International Relations researcher with a strong interest in the foreign policy and environmental diplomacy of the People’s Republic of China. Carlotta has been a junior research fellow of the “Global China Program” of the Torino World Affairs Institute (T.wai) since 2016. Prior to joining the Grantham Research Institute, she has also worked at the Carnegie-Tsinghua Center for Global Policy in Beijing, where she focused on Sino-EU cooperation in the renewable energy sector. 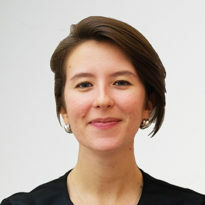 Carlotta holds a Double MSc degree in International Affairs from Peking University and the LSE, and a joint BA degree in Chinese and International Relations from the University of Westminster.